IMF’s technical mission is expected to arrive in Kyiv on Feb 12, Naftogaz reported it would soon start purchasing gas from Gazprom, the Verkhovna Rada resumed its work after the New Year holidays, adopting a number of important laws, while the hryvnia rate pleased with the latest strengthening - these are the main economic developments of the outgoing week. 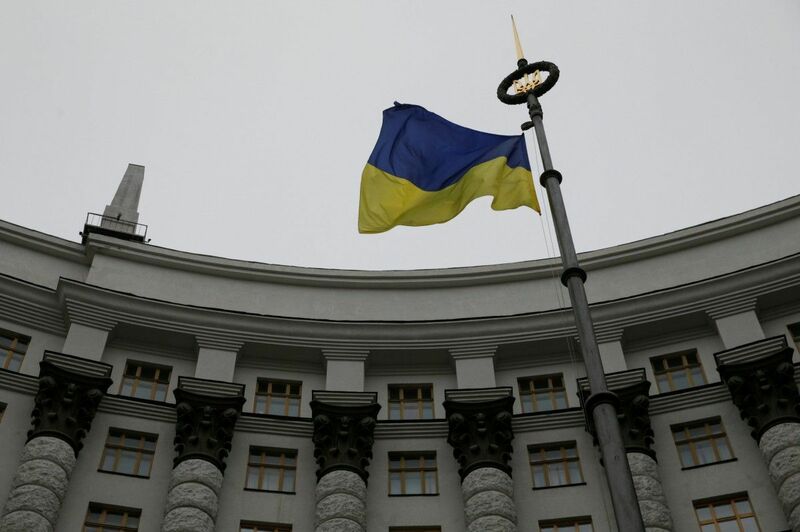 Last week, the International Monetary Fund announced the arrival of its mission to Ukraine. Experts of Ukraine's key lender will visit Kyiv on Feb 12-16. Key steps required to be taken for the resumption of cooperation between Ukraine and the Fund remain the adoption of the law on the anti-corruption court and the establishment of a market gas price. Besides, an important signal for the IMF would be the appointment of governor of Ukraine’s National Bank. A few weeks ago, President Petro Poroshenko suggested that the Rada dismiss current NBU head Valeriya Gontareva, who had long filed a resignation letter, and appoint as her successor Yakiv Smolii, who is now the central bank’s acting head. According to the forecasts by Prime Minister Volodymyr Groysman, the law on the anti-corruption court should be adopted in the coming months. "This is a key issue, a very important one for Ukraine. I believe that in the coming months the law on creating an independent, high-quality anti-corruption court should be approved .The most important thing is not just to create it, but to have this anti-corruption court eventually hand down its first sentence to those corrupt officials who have confused their own pocket with the state coffers," the prime minister said. At the same time, the government so far refrains from naming exact terms for setting a market gas price for all sectors - both the industry and households. According to the Premier, the Cabinet of Ministers of Ukraine will not raise the price of gas in the current heating season, but it is in a dialogue with the IMF on further regulation of gas prices, which should take into account full social protection of citizens. The head of government admitted that negotiations with the Fund, including on the issue of gas prices, will not be easy. "Negotiations are always difficult, but it is very important that we find understanding and compromise in these negotiations. I am set for it, I’m positive, I’m set for continuing cooperation, I’m committed to the quality protection of Ukrainian citizens," Groysman stressed. Last week, the parliament's financial committee approved Smolii’s appointment. Nevertheless, before it is brought to the Rada’s vote, Parliament Speaker Andriy Parubiy says Smolii will need to pass interviews in all parliamentary factions. According to the speaker's forecasts, the deputies will consider the issue before late February. Anyway, both the parliament and government must not waste time since Ukraine will have to pay back $7.4 billion this year alone, while the NBU’s international reserves fell by 2% in January to UAH 18.4 billion. Last week the Verkhovna Rada resumed its work after the New Year holidays. 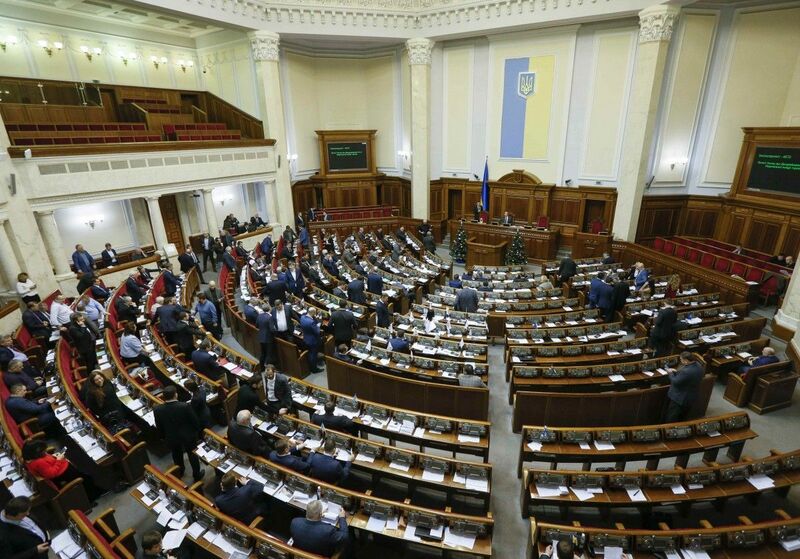 At the current session, the deputies will have to take a government-proposed package of three dozen bills that the Cabinet claims will accelerate Ukraine's economic growth by 5-7%. According to the PM, the draft laws provide for the introduction of a "single window" at all Ukrainian customs, further reform of the State Fiscal Service, introduction of a business ombudsman, creation of the Financial Investigation Service, setting up internationally-recognized regulations for the operations of limited liability companies, a complex deregulation for the country's progress in the Doing Business ranking, as well as deregulation in the oil and gas industry. The reformist legislative package also includes initiatives to ease forex regulations, create conditions for affordable lending, ensure state compensation for the cost of business loans, facilitate operations of institutional investors, create commodity exchanges, protect the rights of creditors and bank depositors, and strengthen protection of intellectual property. During the first plenary week of February, parliamentarians succeeded in adopting two important bills from the said list. In particular, Bill "On Limited and Additional Liability Companies" was adopted, which will allow improving the process of founding, operations and liquidation of companies, creating supervisory boards and concluding corporate agreements between participants, which will make this form of business operations more attractive for investors. Besides, the deputies finally supported the creation in Ukraine of the NBU’s credit register, which will accumulate banks’ data on debtors on loans, making it possible to providing these data to banks free of charge. The bill will allow forming a more reliable banking system. At the same time, it makes it possible for the debtors to gain access to the data the NBU's credit registry has on them and request that database entries be adjusted in case they challenge their content. The Cabinet this week also took a number of important decisions aimed at accelerating economic growth. In particular, the government decided to establish an Export Credit Agency in the form of a private joint-stock company, to support domestic exporters. The process of setting up the entity will take four to five months, while in parallel lines, legislative changes will be taking place and funding will be sought for the agency’s operations according the world’s best standards. The government approved mechanisms for distributing a UAH 6 billion aid to support Ukraine’s agri-businesses. The approved support mechanisms allocate UAH 2.5 billion for the construction of dairy-commodity complexes and farms through lending at 3% in hryvnias for up to five years. The government will also support dairy herds, compensating UAH 1,500 per milch cow annually, and develop livestock maintenance in farms, allocating UAH 2,500 annually for younger animals (per animal), provided it is kept for a year. In addition, the Cabinet will compensate 25% of the cost of acquired Ukraine-made agricultural machinery totaling UAH 1 billion, compensate 70% of the cost of Ukrainian planting stock for the development of horticulture, allocate UAH 1 billion for lending to farmers in hryvnias at 1%, and also compensate farmers 40% of the cost of domestic equipment. Last week it was reported that after more than a two-year break, in the framework of executing the award of the Stockholm Arbitration, Naftogaz plans to begin in March purchasing gas from the Russian gas monopoly Gazprom. "We have held several rounds of talks. We now have a [draft] document that, according to our estimates, is close to the one that will be signed. We hope this month to implement the award in the part of the sale and purchase contract. We hope this will give us an opportunity to start gas purchases from Gazprom as early as March this year," Naftogaz CEO Andriy Kobolyev said. In the past year, Ukraine increased gas purchases in the European market by 26.8%, to 14.1% billion cubic meters. In December 2017, Naftogaz received the final decision of the Stockholm Arbitration Chamber, which satisfied the main demands of the Ukrainian side. In particular, the court lowered the price of gas bought from Gazprom in the second quarter of 2014 – by 27.4% to $352 per 1,000 cubic meters – and rejected the demands of the Russian side regarding the "take or pay" principle worth $56 billion. The Arbitration also reduced the amount of gas that Naftogaz was obliged to buy from Gazprom in 2018-2019, from 52 bcm to just 5 bcm per year. Commenting on the decision, President Petro Poroshenko has said that Ukraine is ready to resume deliveries of natural gas from Russia only on condition that they are cheap, honest and non-corrupt. At the same time, Kobolyev noted that the price of future gas purchases from Gazprom, according to the decision of the Stockholm Arbitration, would be attractive. 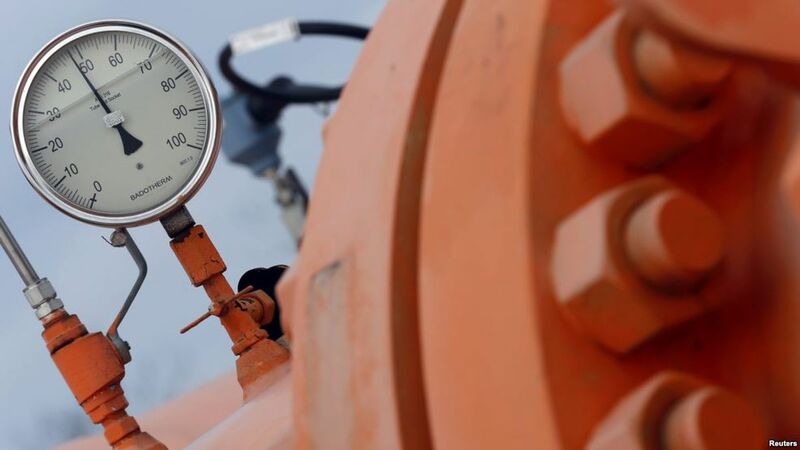 Experts expect the resumption of gas purchases from Russia will allow Ukraine to reduce the cost of gas, as it is expected that the prices of Russian gas purchases will be lower than purchases from European countries. Reducing the cost of gas is especially important against the background of last week’s letter the Ministry of Finance sent the Ministry of Economic Development and Trade, naming the key indicators of Naftogaz’s draft financial plan for 2018. In the letter that some Ukrainian media made public it is noted that today the price is UAH 4,942 per 1,000 cubic meters, and from April 1 (according to the draft financial plan) the price should grow up to UAH 8,030 per 1,000 cubic meters or by 62% compared to the current price. The Ministry of Finance also draws attention to the lack of economic calculations (indicating the cost of gas production), which would explain the increase in gas prices from April 1, 2018. There is also no analysis of the effect of price increases on the state budget. Naftogaz press service told UNIAN that the company's financial plan is at the stage of development and coordination with the government, therefore the state holding cannot comment on its components. Last week, after the decline and volatility during the prolonged New Year holidays, hryvnia quotes began to strengthen steadily, definitely pleasing most Ukrainians. Last week the hryvnia was growing daily by 10-20 kopiykas against the dollar and on Friday reached the level of early December 2017, that is UAH 27.07/USD. Over the past week, the national currency has strengthened by more than 80 kopiykas against the dollar. Compared to January 22, when the maximum decline was recorded, the latest growth is by more than UAH 1.5. The strengthening was a predictable trend, as the temporary weakening was due to a decrease in business activity and reduction in the revenue of exporters over the New Year holidays, as well as traditional peak of payments of social benefits by the end of the year. In the first decade of February, the effect was leveled, exporters began to sell their products more actively, and, accordingly, to bring in and sell foreign exchange earnings on the interbank market. In addition, a significant strengthening of the hryvnia is due to the strict monetary policy pursued by the National Bank. 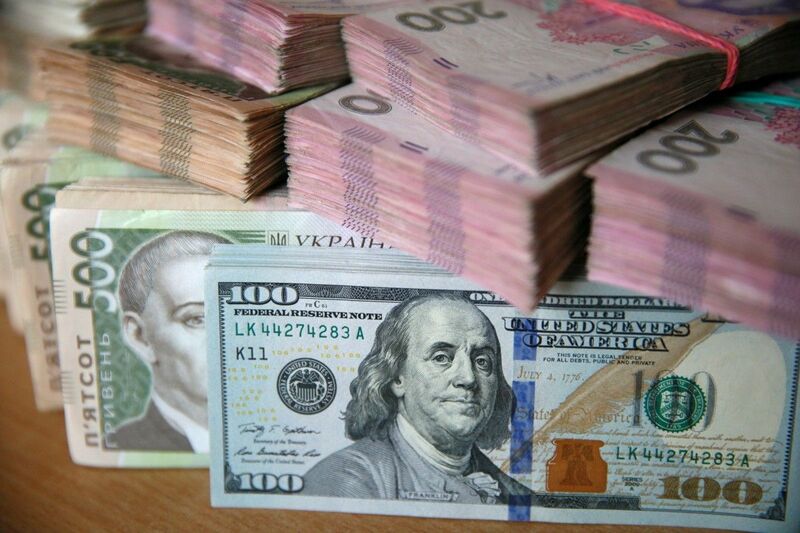 The cheapening of the dollar allowed the NBU to enter the interbank three times and redeem more than $154 million to replenish the reserves and further smooth the fluctuations of the exchange rate, if necessary. Next week, the country will live through more important economic events. 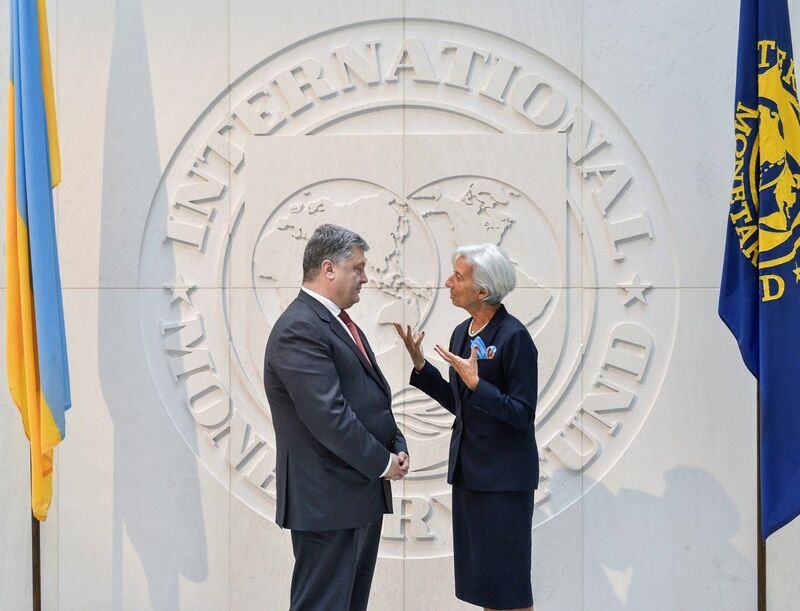 The IMF mission will pay a visit to Kyiv so Ukrainian officials will have the opportunity to agree on part of the parameters for further review of the cooperation program. Also, the State Statistics Committee will publish data on foreign trade in 2017 and industrial output in January.